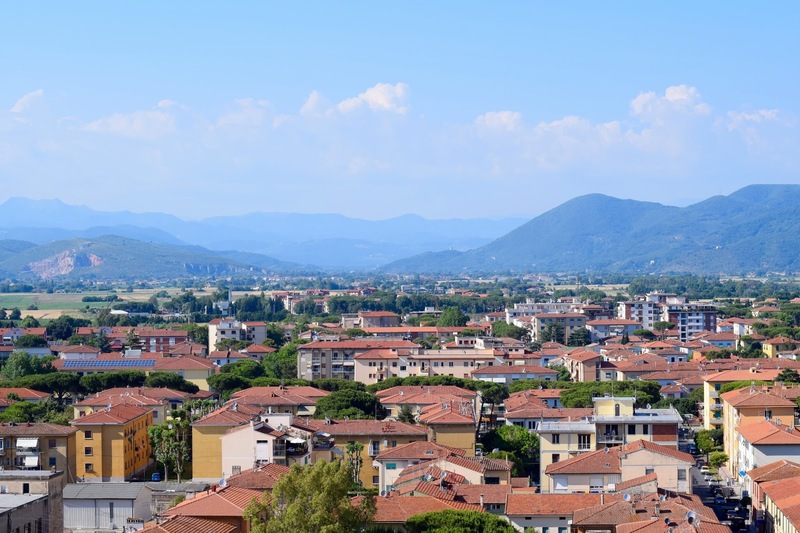 This post will be the first post in the series of four from my recent trip to Italy. If you follow me on Twitter or Instagram, you may have seen my spamming your feed with numerous OOTDs and photos of gelato and sunsets - sorry... I couldn't resist! Last weekend I flew from London to Pisa, to meet my best friend Shona for a few days of travelling around Tuscany and the Italian Riveria. Although I only booked this spontaneous adventure a week or so prior to jetting off, flights were still pretty inexpensive and I flew with BA for just £66 one way. Upon arriving in Pisa, I was greeted by glorious sunshine and 30+ degree temperatures, which was a perfect excuse to crack out my summery wardrobe pieces, that I've been waiting to wear all year! I have been loving a bit of paisley print lately and actually picked this playsuit up from ASOS last summer. I only ended up wearing it once on a night out, as it unfortunately sunk into the hollow cave of my wardrobe until I recently rediscovered it! I think the print and blend of colours are so beautiful together, plus I really like the v-neck style and the back detailing too. A perfect and easy outfit for a day of tourist activities and sipping on a glass (or three) of wine. 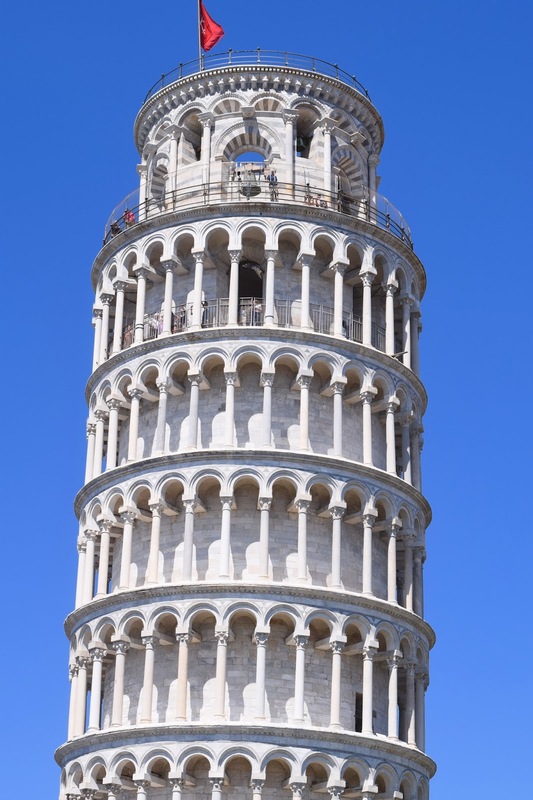 As we were only staying in Pisa for the night, we stayed in a small hotel just around the corner from Pisa's main attraction: The Leaning Tower. It was a perfect location for wandering around the city and minutes away from streets bustling with outdoor eateries and local boutiques. I'll be honest when I say my expectations of Pisa weren't very high, but I really enjoyed my time there! I feel like one day is all you need to see and enjoy the best of the city's offerings. One of my highlights was definitely climbing to the top of The Leaning Tower, it was great to learn the history and see the views of the area from the top! Stay tuned over the next week where I'll be posting more photos & travel diaries from my Italian adventures. Plus... I'll be posting my first ever lookbook on my Youtube Channel (GO SUBSCRIBE)!